All it takes for truths to be revealed is time. Today's article in the Michigan Daily detailing the "permanent separation" of Michigan kicker Brendan Gibbons from the university tells a story that has long been rumored...that has finally come to fruition. Why it took four years to get around to some sort of consequence is not known. The Daily suggests that revised policies from 2011 may have forced the University to re-evaluate, but policies from 2011 do not result in December 2013 expulsions. Given the timing here it's clear that the guy who dumped various court documents on the internet was the proximate cause. That is of course terribly embarrassing for the university, which was apparently fine with having a student they eventually concluded they were at least 50.1% sure raped a girl as long as no one was complaining about it. Gibbons did not dress for the Ohio State game. 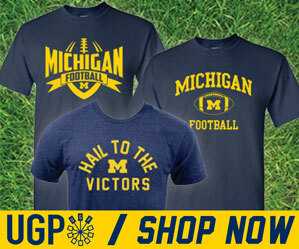 Brady Hoke cited "family issues" as the reason for his starting kicker's absence in the biggest game of the season. Family issues sounds much better that a "violation of team rules" which only makes the media ask more questions. Then in December, Hoke addressed Gibbons' bowl game availability by telling the media, ""He's a little iffy. He's kicking a little bit. But I don't want to over-kick him. I've never been a kicker, so I can't imagine that (injury) problem. So, he's a little iffy." It is not known if Gibbons was actually injured or not. Given what we know now, it would seem likely that he was not. Sexual misconduct is a very serious issue. 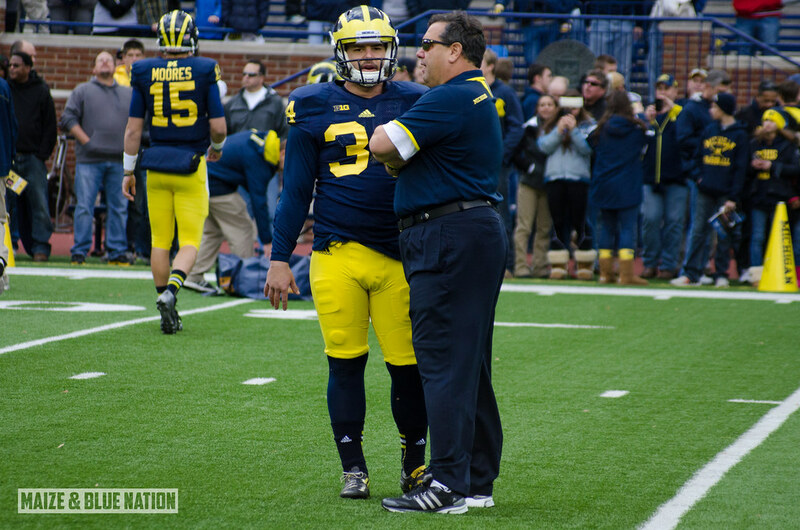 By the time the bowl game came around, there's little doubt that Hoke didn't know what was really going on. The injury tack, whether false or not, may not have been the best course to take. These comments, whether an attempt to try and save face for Gibbons and/or the football program, in retrospect are embarrassing to say the least. And further, are indicative of a situation bumbled from the start by the athletic department and the coaches.